Mingoville will help your child to get to the top of the English class! 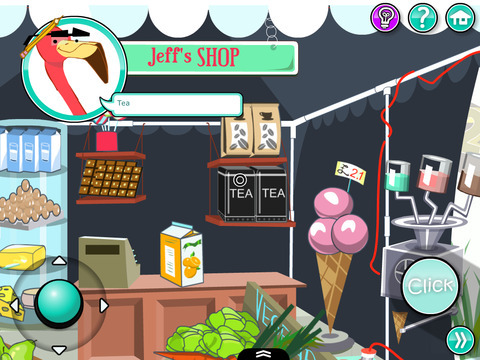 With Mingoville Food and Shop your child will learn the names of various goods in Jeff’s shop and practice different phrases for grocery shopping in English. She/he will also learn how to categorize different food items. 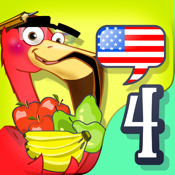 •	Join the 2 million kids who already learn English with Mingoville. Mingoville is a city where the flamingo family Pinkelton lives. Together with the Pinkeltons children learn English though a world of non-stop activities that combine social interaction, pictures, animation, sound and text. This app is free to try but also contains in-app purchases. If you like the first two activities, you can purchase and unlock all content. In order to protect your child from accidental purchases, we’ve implemented a Parent Lock. To protect your child we do not allow ads inside the app and we do not offer in-app purchase in the paid apps! Do you want to give your children a winning head start with English? Don’t wait and download Mingoville Food and Shop now! You child already knows everything about Food and Shop? 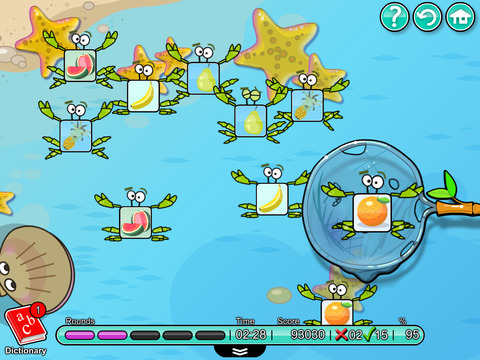 Try out our other apps about: Animals, The Family, Colours and Clothes, The Body, House and Furniture, Numbers and Letters, Nature and Seasons, Time and Travel, Sport and Media.